1. Leave : اجازت دینا : (noun) permission to do something. Well, I will leave now. She was granted leave to speak. Permission - approval to do something. 2. 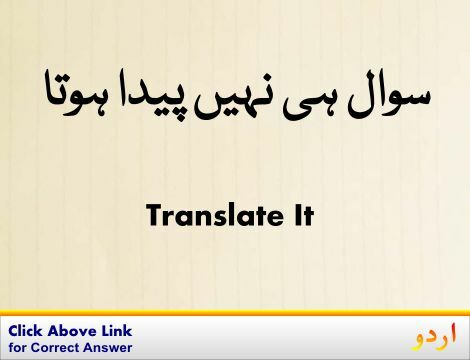 Leave, Leave Of Absence : چھٹی : (noun) the period of time during which you are absent from work or duty. He had taken some leave. A ten day`s leave to visit his mother. Terminal Leave - final leave before discharge from military service. 3. Leave, Leave Alone, Leave Behind : چھوڑ دینا : (verb) leave unchanged or undisturbed or refrain from taking. Leave the flowers that you see in the park behind. Forbear, Refrain - resist doing something. 4. Leave, Go Away, Go Forth : جانا : (verb) go away from a place. At what time does your train leave? The ship leaves at midnight. Depart, Quit, Take Leave - go away or leave. 5. 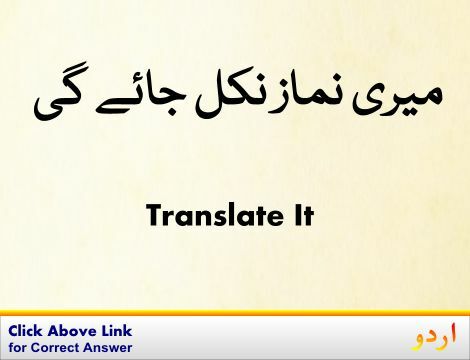 Leave, Exit, Get Out, Go Out : چلے جانا : (verb) move out of or depart from. Depart, Go, Go Away - move away from a place into another direction. 6. Leave, Farewell, Leave-Taking, Parting : رخصتی - جدائی : (noun) the act of departing politely. Departure, Going, Going Away, Leaving - the act of departing. 7. Leave, Allow, Allow For, Provide : مہیا کرنا : (verb) make a possibility or provide opportunity for; permit to be attainable or cause to remain. This leaves no room for improvement. Leave lots of time for the trip. Afford, Give, Yield - be the cause or source of. 8. Leave, Entrust : کسی کے حوالے کرنا - سپرد کرنا : (verb) put into the care or protection of someone. Leave your child the nurse's care. Give, Hand, Pass, Pass On, Reach, Turn Over - place into the hands or custody of. 9. Leave, Bequeath, Will : وصیت کرنا - میراث کے طور پر دینا : (verb) leave or give by will after one's death. Leave, Leave Behind - be survived by after one's death. 10. Leave, Leave Behind : مرنے کے بعد چھوڑ جانا : (verb) be survived by after one's death. Buy The Farm, Cash In One's Chips, Choke, Conk, Croak, Decease, Die, Drop Dead, Exit, Expire, Give-Up The Ghost, Go, Kick The Bucket, Pass, Pass Away, Perish, Pop Off, Snuff It - pass from physical life and lose all bodily attributes and functions necessary to sustain life. 11. 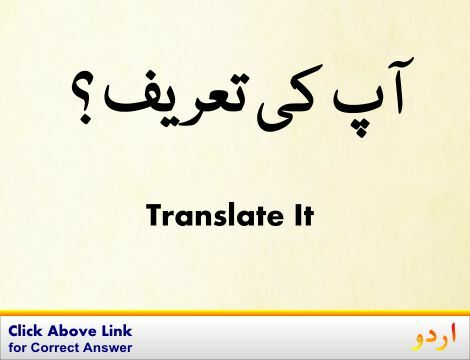 Leave, Give, Impart, Pass On : معلومات مہیا کرنا : (verb) transmit (knowledge or skills). Leave your name and address here. Convey - make known; pass on, of information. Law Relating to Leave Holidays and Absenteeism in Industries. Family Leave Policy: The Political Economy of Work and Family in America. The Essential Guide to Family & Medical Leave. Family and Medical Leave Act of 1993. Absent, Remove : چھوڑ دینا : go away or leave. "He absented himself"
During : دوران : At some time in; concurrently with. "Kindly don`t sleep during my lectures"
Duty : ذمداری : work that you are obliged to perform for moral or legal reasons. "The duties of the job"
Full Point, Full Stop, Period, Point, Stop : وقف لازم : a punctuation mark (.) placed at the end of a declarative sentence to indicate a full stop or after abbreviations. "In England they call a period a stop"
License, Permission, Permit : اجازت دینے کا عمل : the act of giving a formal (usually written) authorization. Leave Alone : چھوڑ دینا : leave unchanged or undisturbed or refrain from taking. Leather Soap : ایک قسم کا ملائم صابن : a mild soap for cleansing and conditioning leather. How this page explains Leave ? It helps you understand the word Leave with comprehensive detail, no other web page in our knowledge can explain Leave better than this page. 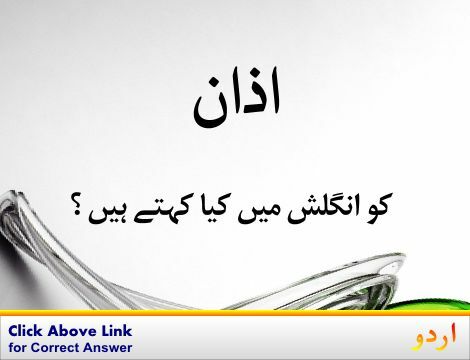 The page not only provides Urdu meaning of Leave but also gives extensive definition in English language. The definition of Leave is followed by practically usable example sentences which allow you to construct you own sentences based on it. You can also find multiple synonyms or similar words on the right of Leave. All of this may seem less if you are unable to learn exact pronunciation of Leave, so we have embedded mp3 recording of native Englishman, simply click on speaker icon and listen how English speaking people pronounce Leave. We hope this page has helped you understand Leave in detail, if you find any mistake on this page, please keep in mind that no human being can be perfect.